Ever since its debut back in February, our forums have had a love/hate relationship with Vogue Poland. The magazine got off to a rocky start with a dire Anja Rubik and Malgosia Bela cover, gave us a laid-back Eva Herzigova the month after, had Natalia Vodianova dashing across the studio for May, asked Adwoa Aboah to style herself for June and hit September gold with the ever-radiant Christy Turlington. 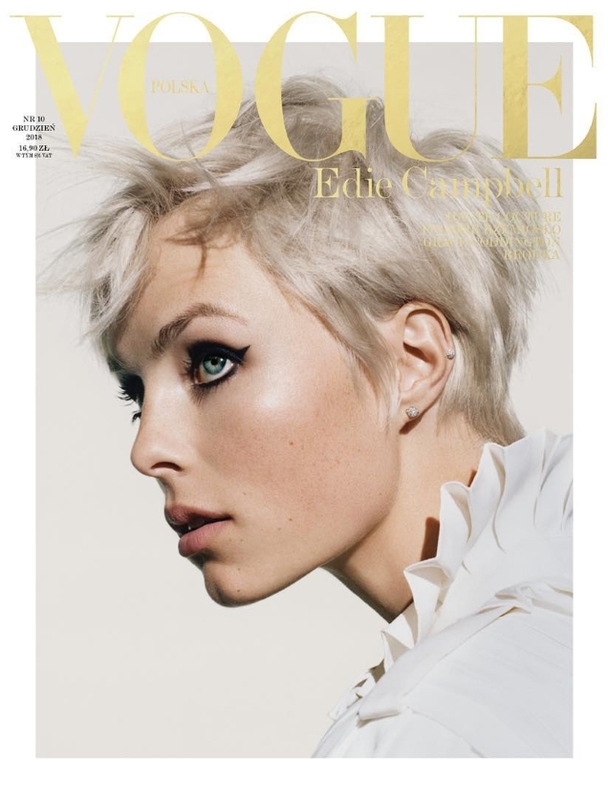 In an attempt to end 2018 on a high, the magazine gives the December cover to Edie Campbell, who shows off her newly dyed platinum hair (à la Edie Sedgwick) in the unconventional cover image lensed by Felix Cooper. The cover caught our forum members by surprise. “Oh, I LOVE this. Totally different from what I expected, and I am digging the hair on her,” complimented Miss Dalloway. “Obsessed with this! Love her new hair so much!” echoed Blayne266. “WHAT A COVER,” applauded jorgepalomo. “I can’t help but think of CoverGirl when I see this. Nonetheless, Edie looks great here. It’s pretty quiet for December though,” TaylorBinque chimed in. “I see Twiggy. Great cover but I can also see a CoverGirl ad,” noted Nymphaea. “This is literally a layout of the opening page of a beauty editorial in Vogue Italia or Arabia… but Edie’s absolutely amazing!” applauded aracic. Be sure to check out Edie’s cover story and share your thoughts with us here.